Did you know that during 2016 in South Australia 8,401 victims reported occasions of domestic violence? Did you know that there were 19 domestic violence homicides in South Australia during 2016? We didn’t until we spoke with one of our customers at our Riverland Fire and Safety. With four specialist domestic violence services in regional South Australia, Centacare is the state’s largest provider of best-practice support for at-risk women and children outside metropolitan Adelaide. Centacare’s Riverland Domestic Violence Service (RDVS) supports women and children who are experiencing domestic violence. The Service provides short-term accommodation, confidential and professional counselling, and information and referrals for options in housing, medical, legal, income and advocacy. They also provide outreach support for women who do not require accommodation but are still experiencing domestic violence. Their staff provide individual case management in a culturally-sensitive way that is respectful of people’s needs. The RDVS also plays an important role in the community, educating people about domestic violence and women’s safety. 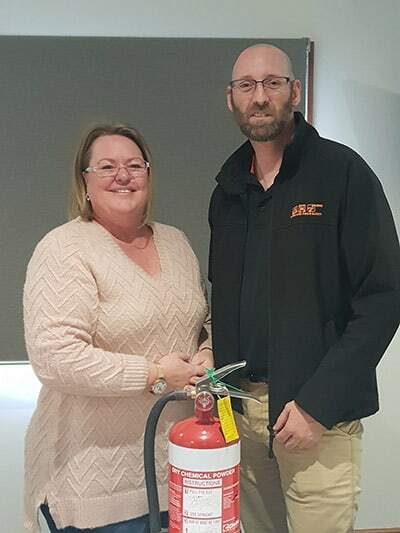 When they reached out to our Riverland Fire and Safety branch for assistance with setting up a “starter kit” for women moving into new accommodation how could we say no? If you feel, like we did, that this is an organisation that requires support then head to their website to donate or call the RDVS direct on 85822100.